Notable nonprofits iGrow Urban Farm and Frenchtown community garden set up service sites to foster local youth development and provide fresh produce for an area considered to be a food desert. 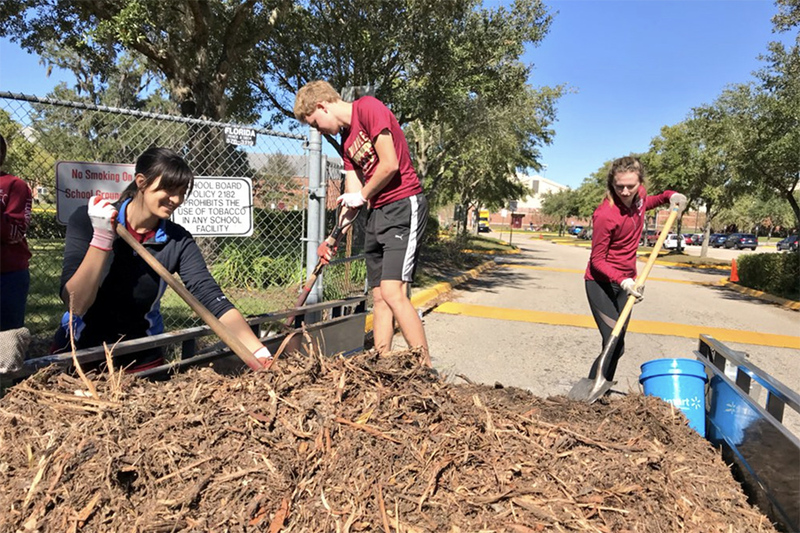 More than 300 students from Florida State University, Florida A&M University and Tallahassee Community College came together on Saturday, Nov. 3 to make a big impact on the Leon County community for the first annual Little Event. 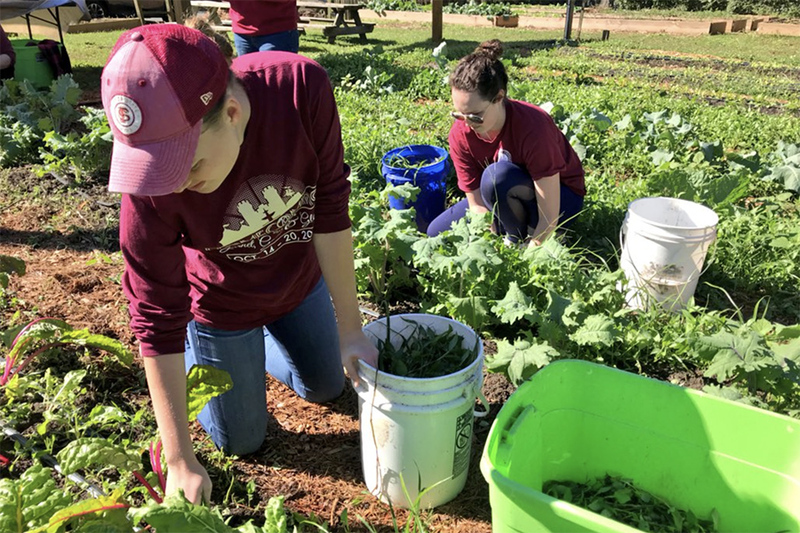 The event’s sponsor, The Big Event Tallahassee, hopes this new fall initiative will encourage volunteerism year round and prepare students for The Big Event, an annual day of community service held in the spring. Ambassadors’ knowledge of their agency’s specific service needs combined with the center’s resources gives individuals a chance to make impactful, real changes in their community. Volunteers worked with Tallahassee nonprofits from 10 a.m. to 2 p.m. on a variety of projects including park cleanups, food pantry packaging and senior home assistance. Saturday morning, volunteers met at the main campus fields for participant check-in and a kickoff ceremony before dispersing to service sites around the city. Participants also helped organize and clean items at Kids Incorporated, a nonprofit that provides Early Head Start, nutrition, health and other services to families in the Big Bend. It was created to provide family fun for the community. This entire effort aligns with Leon County’s initiative to get college students more engaged in the local community during their four years in Tallahassee. “We want students to get to know our nonprofit organizations and to be involved in our community now, so that later on they’ll want to stay after they graduate,” said Celia Mott, digital communications and engagement specialist for Leon County. The 11th annual Big Event Tallahassee is set for March 30, 2019. Service site applications will be available online at the end of the month and volunteer registration will open in February. For more information, visit thebigevent.fsu.edu.